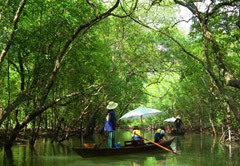 Let us introduce you to the mangroves and sail through an Oasis of tropical forest. 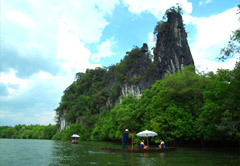 Explore Oyster Farms, Sea Caves, Fish, Monkeys & Other Wildlife that Phang Nga Bay has to offer. 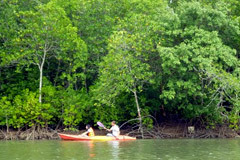 Soft kayaking: Challenge yourself and experience of kayaking down amazing river with soft current river, two persons in site on top kayak. 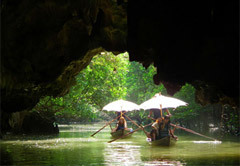 We spent the time about one hour with unforgettable experience on the river. 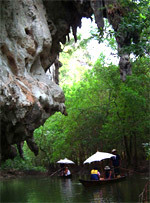 Trainer expert local guide give full tuition so even first-time any can enjoy this amazing river. 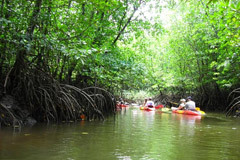 09.30 AM: Arrive to Anda pier and get to long tail boat to Khao Deang Trip briefing and safety on board and get to "Reua Jaew" paddle in the mangrove forest enjoy with our Reua Jaew boat fish farm, oyster, mussels farm, sea cave explore. 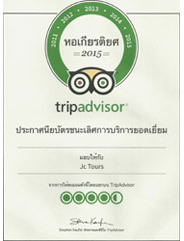 13.00 PM: Finish "Reua Jaew" and back to the Anda pier and lunch with delicious sea food basket lunch, fresh fruit, tea and coffee. 14.00 PM: River kayak briefing and training. 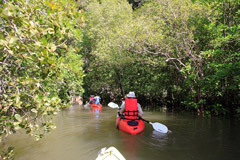 14.30 PM: Challenge yourself and experience of kayaking down amazing river. 15.30 PM: Swim and relaxing fresh fruit, tea and coffee break. 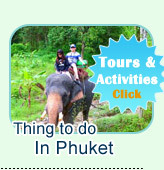 16.00 PM: Depart from Phang-Nga and head back to Phuket. 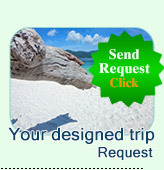 17.00 PM: Arrive to Phuket and transfer back to your hotel. Remark: Schedules Subject to change due to weather, tide or expedition leader's decision.